Sara Thurber began her dance career at the age of three at the Manomet School of Dance, under the direction of Gail Randall. From there, she studied at Classical Movements in Plymouth, MA and then at Children’s Ballet Workshop in Hingham, MA, where she met Nan Keating. Nan asked Sara to audition for the Boston Ballet, where she danced for the next seven years. While at the Boston Ballet, Sara had the privilege of performing in The Nutcracker, Sleeping Beauty, A Midsummer Night’s Dream, Paquita, and Firebird. She has also performed for the Ballet Theater of Boston as Clara in their 1999-2000 production of The Nutcracker. In addition to dancing with the Boston Ballet, Sara also danced at the Patti Eisenhauer Dance Center in Franklin, MA. Here, Sara studied ballet, pointe, lyrical/contemporary, modern, tap, jazz, hip hop, and acrobatics. She competed a number of regional and national competitions, and received a number of titles and high score awards, including the American Dance Awards (1998) national title for lyrical small group and Dance Masters of America Junior Miss CT 1999. Sara also performed in Patti Eisenhauer’s production of The Nutcracker, in roles such as snow queen, dew drop fairy, and sugar plum fairy. 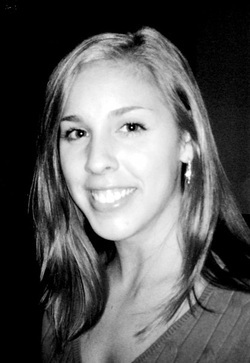 While in high school, Sara began teaching dance at Children’s Ballet Arts in Hingham, MA. Here, she taught jazz, ballet, and musical theater. She also created a jazz program at the local YMCA in Plymouth, MA, where she taught children ages 6-10. During this time, Sara also danced in Disney at the Magic Music Days performance and at the Major League Soccer cup half-time show (2002) at Gillette Stadium. In college, Sara performed on a number of dance teams, including the student-run team at Fordham University, Expressions Dance Alliance. In addition to dancing, she also choreographed for the team. While in college in Boston, Sara began teaching ballet at Dance Forever in Braintree, MA. She has also choreographed for Dance Forever’s competition team, where her students have earned a number of elite and platinum medals. After graduating from college, Sara began working at MassBallet in Framingham, MA. Here, she taught ballet, jazz, and contemporary. She was also responsible for the development and implementation of a number of MassBallet’s summer programs, for children ages 3-18. During the summer programs, she taught ballet, jazz, and contemporary, and also helped the dancers create their summer performances, which involved creating a storyline, character development, props, and costumes. While Sara has years of experience in the dance community, she also has spent a great deal of time working in mental health. She received a Bachelors of Science in Psychology from Northeastern University and also has a Master’s in Mental Health Counseling, a Master’s in Criminal Justice Studies, and a Certificate of Advanced Graduate Studies (CAGS) in Mental Health Counseling, all from Suffolk University. She has worked as an outpatient counselor and outreach clinician for a number of years.